Shipping Dimensions: 18" x 4" x 14"
The Roundabout is small and mighty. Although it’s geared for beginning Quadrilla builders, it can be leveled up—and up—with add-ons for more advanced builders. 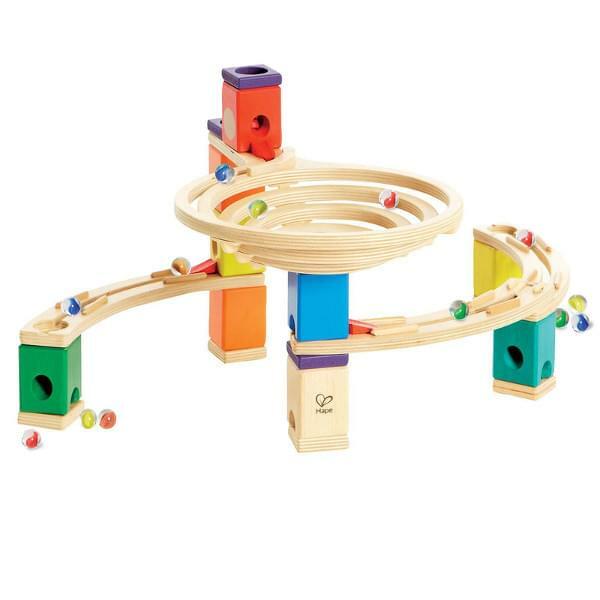 Quadrilla's The Roundabout is the perfect marble run for beginning builders. If your youngster likes building with blocks, playing with marbles or both, The Roundabout fulfills all those interests while introducing them to a fun new hobby of building marble runs! The Roundabout is designed as a marble run starter set. It's a perfect gift as is, but if kids desire more complex marble run designs, it can be combined seamlessly with Quadrilla's other marble run sets. All Quadrilla marble run sets are crafted with high quality birch and rubber wood for long-lasting marble racing fun! For ages four years and up. This is actually a really cool toy. We ended up making a few different set ups with this and there is definitely the possibility of more. Just be careful you don't knock it all over and have to start again while your halfway through! 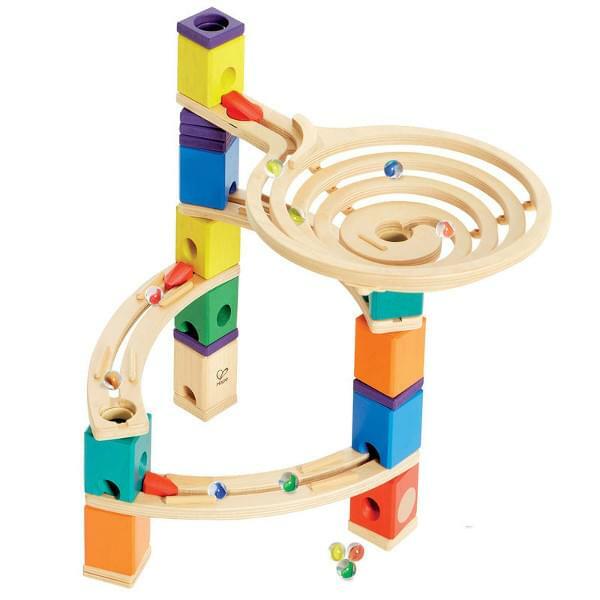 If You Liked Hape Quadrilla Marble Run The Roundabout, See More Related Products Below!